OTELCO is pleased to announce the hiring of Brian Hodgins as Technical Support Representative. Hodgins is based in our Bangor office. Hodgins holds an associate degree in Computer Systems. He is currently enrolled at the University of Maine, studying Electrical and Computer Engineering and working toward a bachelor’s in University Studies. 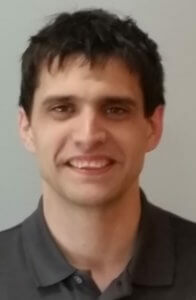 Hodgins worked previously as a Systems Administrator, Programmer and Customer Tech Support, and most recently served as a Software Developer at the University of Maine Advanced Structures and Composites Center. Hodgins is a resident of Bangor.